Sitting down on a conventional chair can be torturous for people suffering from sciatica. Read more to learn about an amazing ergonomic solution to this chronic pain issue. For those of you who do not know, the sciatic nerve is the longest nerve in the human body, running from the pelvis to the feet. 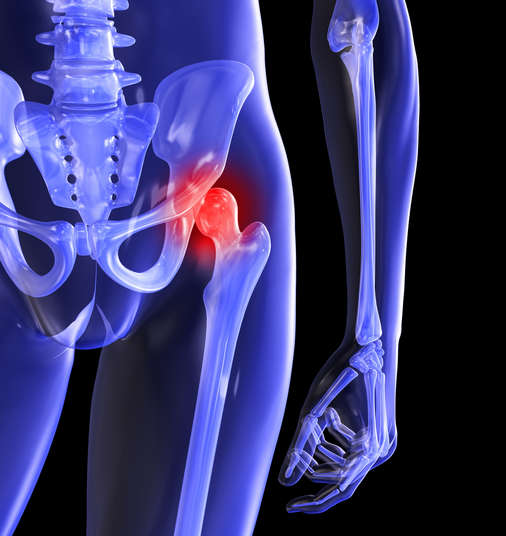 Sciatica is a painful condition caused by the irritation or compression of this nerve, most commonly because of a lumbar slipped disc. Besides the constant pain, numbness, and tingling in the buttocks and leg of the affected side, people suffering from this condition truly face a nightmare every time they have to sit. 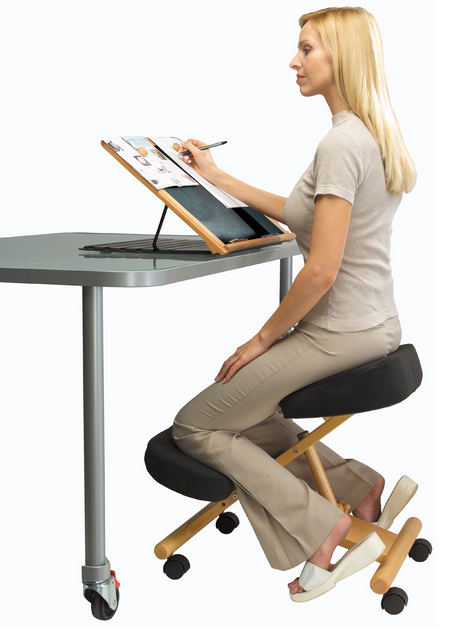 Using ergonomic chairs can therefore make a big difference. Unlike conventional chairs, where the spine is perpendicular to the floor, sitting on a kneeling chair maintains a 135 degrees angle between your spine and your thighs. This ‘kneeling posture’ is also called an open-angled posture. When sitting on a kneeling chair, you not only support your upper body on your buttocks, but also take support from your leg below the knees. This increases the surface area in contact with the chair and reduces the pressure on your back and legs while sitting, thus relieving pressure on the sciatic nerve. Research has shown that having an open-angled posture while sitting greatly reduces the pressure on your lumbar spine, thighs and buttocks as compared to while sitting on conventional chairs. This is of main importance to people suffering from sciatica because the course of the sciatic nerve is along these anatomic parts of the human body. They improve blood circulation to your lower limbs, an area that is typically aversely affected in cases of sciatica. It takes a while to get used to the new sitting posture, so approach patiently. It is a little time consuming to get in and out of the chair. Sitting on a kneeling chair for prolonged periods of time can affect your knees in the long run if precautions are not taken. It is always best to stretch your muscles every hour. These chairs only allow movement in the forward direction, so make sure you have everything in place, and within your reach, before you sit down. As with everything in the market, it is always best to read reviews and top 5 lists before you buy one. And this is very important in the case of a kneeling chair because the sitting posture is so new that it can be a little uncomfortable in the beginning. This makes sense because we have been using conventional chairs since birth. 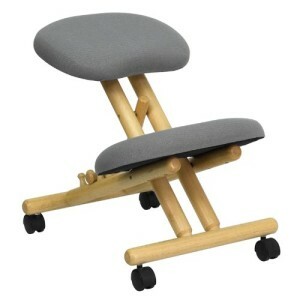 Additionally, since they are ergonomic chairs, they cost a little more than conventional chairs. So always compare prices before you make a purchase. In the end, always remember that chronic lower back pain is a medical problem and needs proper medical treatment for its correction. So don’t forget to consult a physician regarding the same. But in the meantime using the best chair for sciatica can definitely make sitting down a lot easier and a lot less painful. Middle back pain is becoming an increasingly common issue. This is largely due to the sedentary nature of the modern lifestyle. People are spending more time sitting down, whether at work, at home or while driving or riding from place to place. This creates a tremendous amount of tension between the shoulder blades, especially when people are craning or stooping over hand-held devices or other forms of technology. The following are the top three causes of this problem along with simple solutions for getting fast and natural relief. Depending on the severity of your back pain condition, your doctor may suggest that you have surgery if you have been suffering with ongoing back pain despite conventional treatments. There are a number of different surgical procedures for back pain. The type of surgery you will have will depend on the severity of the problem, although in general this nature of this invasive procedure is undertaken to correct nerve damage in the back as a result of a compressed or damaged disc. Although back surgery can be a highly complicated procedure, it can have a number of benefits on someone who has been experiencing back pain for a prolonged period of time. 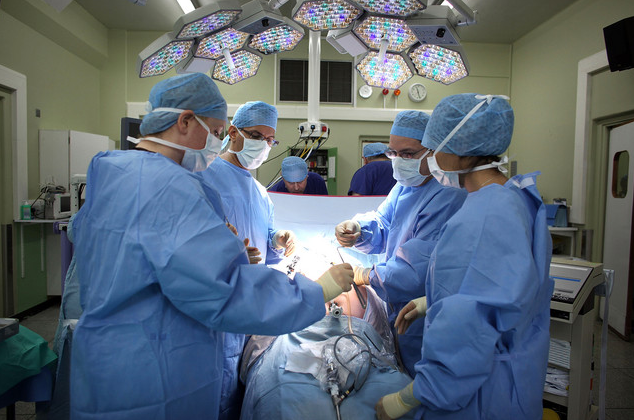 This article outlines the 5 things you should know about surgical procedures for back pain. 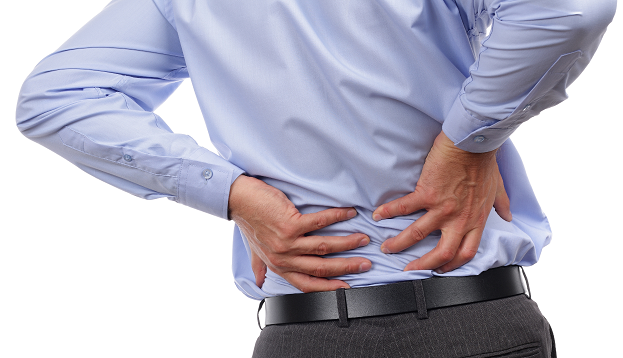 Are you suffering from back pain as a result of sitting at work all day? You’re not alone. According to the American Chiropractic Association, half of all working Americans report back issues each year. Sitting for most of the day can ruin your posture. The constant force of gravity puts chronic pressure on the intervertebral discs and the supporting mucles of the spine. As a result, aches, soreness, and pain are commonplace for office workers. Luckily, there are chairs that are ideal for your achy back. Back pain is a major problem in the American work force. When your job involves physical labor, you become prone to injuries from repetitive movement. Often lifting is a major culprit of injury cause. On the other hand, working in an office can put you at serious risk due to musculo-skeletal injuries. At the desk, stagnation is the issue and gravity is the enemy. Poor sitting habits should be avoided at all costs. There are many methods for preventing back pain and treating back injuries. As chiropractors dig deeper into the causes of work injuries, more information allows to become capable of taking care of our spines. In this article, you’ll find simple and effective adjustments that will help you avoid back pain in the office.